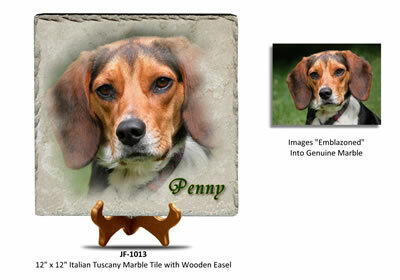 A color photograph is permanently "emblazoned" into this genuine Tuscany marble tile. 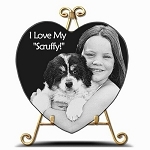 Our professional artists will resize the photo, design the layout and provide a free draft for your approval. 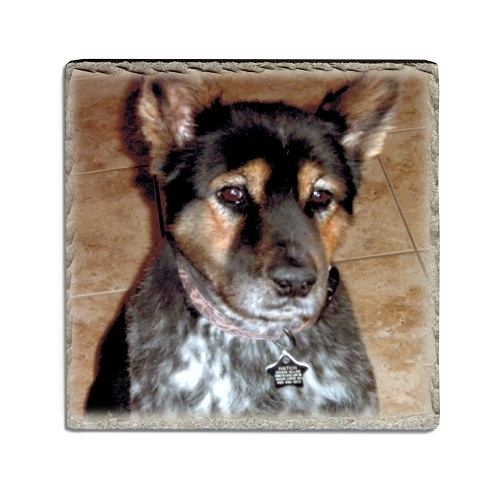 The finished Tuscany tile is beautiful! The image can be displayed in full color or sepia tone. 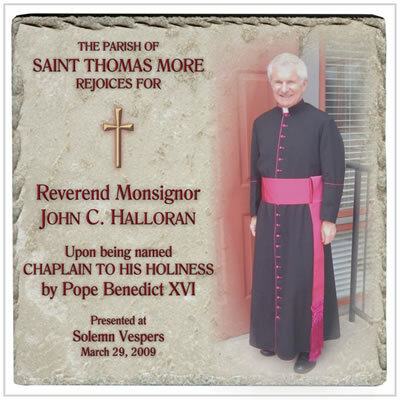 Send the photo and text when you receive confirmation of order in an email. Use the Order Number on the subject line. For best results, please refer to photo tips. 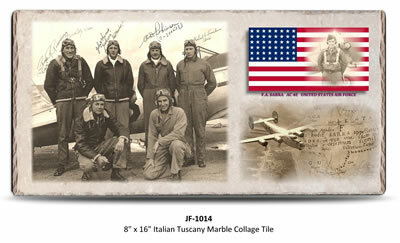 The larger 8"x16" Tuscany is often used for collages or more than one photo. A free draft is provided, along with a modification to that draft, if needed. After three drafts, we will contact you to discuss the cost of further modifications. Ready for gift-wrapping. The Tuscany Tile is wrapped in plastic and packaged in a white-chip box, making it easy to gift wrap. 2. Email the text and photo to us. Please include your Order Number on the subject line so that we can associate your text with your order. The tile arrived today and it is absolutely perfect. Whomever packed it for shiping had it bullet proofed wrapped and my father was quite pleased and surprised. * Draft is provided in 1-2 days. After draft approval, ready to ship in 1-2 days. Add 1-5 ship days. 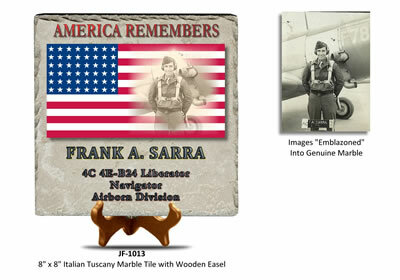 Photo Memorial Stone The Golden..
* Draft is provided in 3-7 business days. After draft approval, ready to ship in 8-10 business days. Add 1-5 ship days.